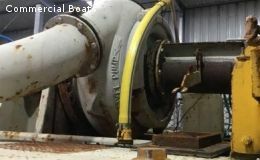 This Dredge is in South Australia and we are seeking interested parties to register their interest. 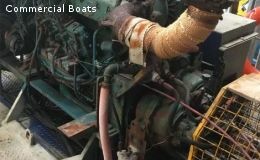 She is a council owned vessel, is in good working order and has her own jinker trailer. Pump : Warman FG8131A05, bearing housing F004MD21. 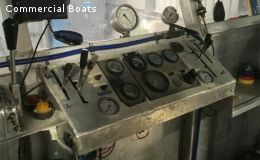 Hydraulically controlled from aluminium cabin. 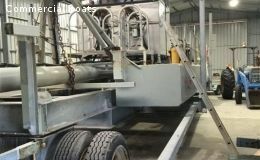 Pontoons, good condition plate steel. Boom replaced for 2016 season. All hydraulic hoses and spool valves replaced 2015. Engine and gearbox heat exchanger running Caterpillar Extended Life Coolant. Engine serviced at maximum interval of 250 hours. Assorted spares, including approximately 2000m 7x7 hi tensile hot dip galv cable. 210 metres 250mm hdpe pipe.